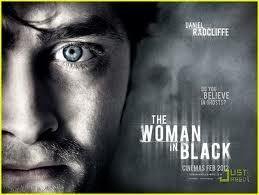 The Woman in Black rekindled my love of horror. A few weeks ago I posted that I had just been down to London to see the fantastic stage show of Susan Hill’s The Woman in Black. I wanted to see it before the release of the new Hammer film starring Daniel Radcliffe and I definitely made the right decision. Although I thoroughly enjoyed the stage version, with its comedic value and audience gasping moments, the stage does have its limits. In my opinion film was nothing less than awesome. Boy did it make me jump. Okay so that’s just my opinion (for what it’s worth) and I’m sure there are people out there who wouldn’t agree, but that’s the kind of classic gothic chiller that I was weaned on. I guess it’s because I grew up on Hammer horror films that I fell for the whole gothic charm and all of the contemporary horror films of today just don’t do it for me. I love period costume, smoggy Victorian streets and candlelit mansions – who wouldn’t. I love the idea of wandering through a misty graveyard in the dead of night, with the very real threat of a vampire rising from its coffin and eating you alive (well, not me but some other poor waif). Those are probably the reasons why I just can’t bring myself to watch the likes of Paranormal Activity. The spooks are not enough, I need the whole scene set for me. 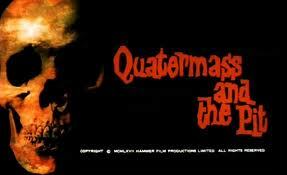 My first real memory of what I considered a horror was the 1950’s film – Quatermass and the Pit. The film takes place on the London underground below the fictional Hobbs Lane. During excavation works the workmen stumble across what they think is an unexploded WWII bomb. The object turns out to be an alien aircraft that crash landed millions of years ago. The above houses on Hobbs Lane have constantly experienced poltergeist activity and other unexplained phenomenon. One particular scene has always stayed with me. It probably looks quite poor now in comparison to all the special effects Hollywood throws at us today, but the scene when the holographic image of a martian devil floats above the city of London will always send a chill down my spine. I think I’ll go and rent Quatermass and the Pit now – it’s been a very long time since I last watched it. There is something utterly charming about watching old black and white movies. I was recently lucky enough to stumble across Dracula, with Bela Lugosi. I must admit, this film had been on my ‘must watch’ list for quite some time so I was thrilled when I saw it listed on the TV Guide. 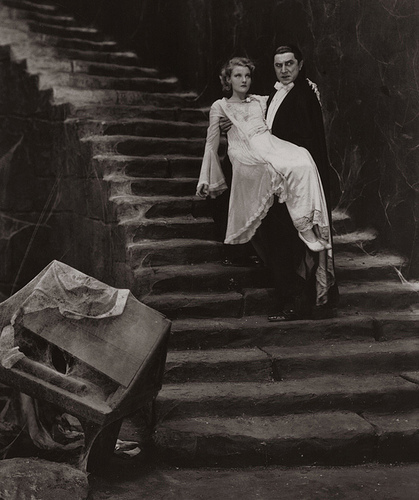 The film version of Dracula was made back in 1931, so it’s over 80 years old. I hadn’t realized that the film was based on a Broadway stage play of which Lugosi was also the lead but he happened to be in the right place at the right time and won the title role. 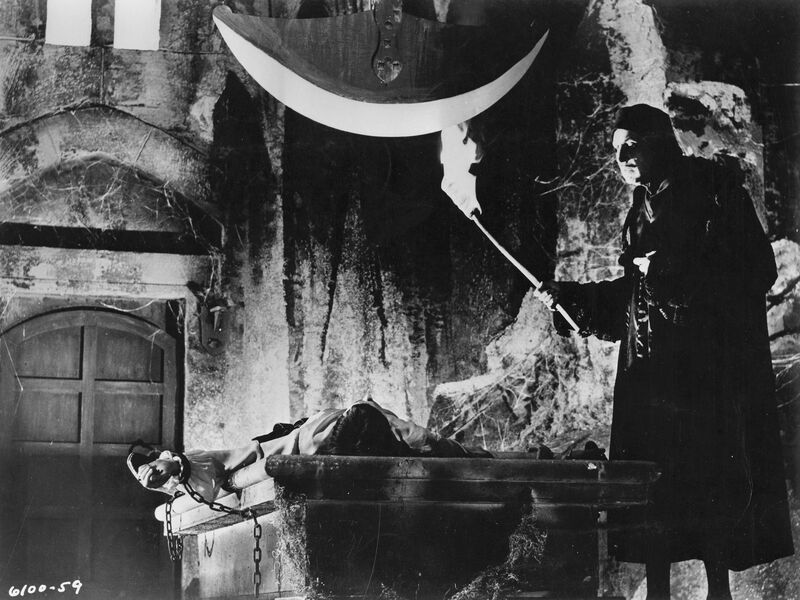 Dracula, directed by Tod Browning, has no background music, which I think adds to the theatrical feel. The sets are wonderful, especially that of the Abbey interior towards the end. And who can forget the strategic lighting of Dracula’s eyes. Of course the acting was fabulous but in a primitive way, there was nothing natural about any of the character portrayals. It is said that Lugosi couldn’t speak English very well at the time of filming and that he learned his lines phonetically, adding to the eerie accent of the count that we know and love. I highly recommend watching this film, even if it is just to bring a smile to your face. We all enjoy a bit of a scare including our two kids (age 7 and 9) so we recently relented and for movie night we chose The Hole. I remember as a young child I liked nothing more than Scooby Doo because the frights were guaranteed and you could still sleep easy at night knowing that they weren’t really ghosts at all, no it was always some psychotic nut case in a mask (so much better). The Hole is about a family who rent a house in the suburbs and come across a trap door in the basement. After removing all the padlocks they find it is covering a bottomless pit. Out of the darkness emerge some nasty characters that seem to feed off of your inner most fears. Two sleepless nights later my daughter now wishes we had a hole in our basement (we don’t have a basement) but that only nice people would crawl out of it in the night (eeewww). She also realized (which I was quite impressed by) that the point of the film was that if you faced your fears you will get over them. Not bad for 7. I went to see The Kings Speech yesterday. I have to agree that Colin Firth’s portrayal of King George VI was excellent. How he managed to carry off that speech impediment so well is beyond me. HBC was also good although not my favorite actress, I think she is over cast. She seems to be in everything lately, but she did do a great job in her role as the Queen Mother. It looks like there are a couple of decent films coming up. I was interested to see Graham Greene’s ‘Brighton Rock’ is coming out soon although I think I may have to read the book first. Also the new Clint Eastwood film ‘Hereafter’, a supernatural thriller with Matt Damon looks very interesting too.